Slice peaches in half, remove pits and cut into chunks. 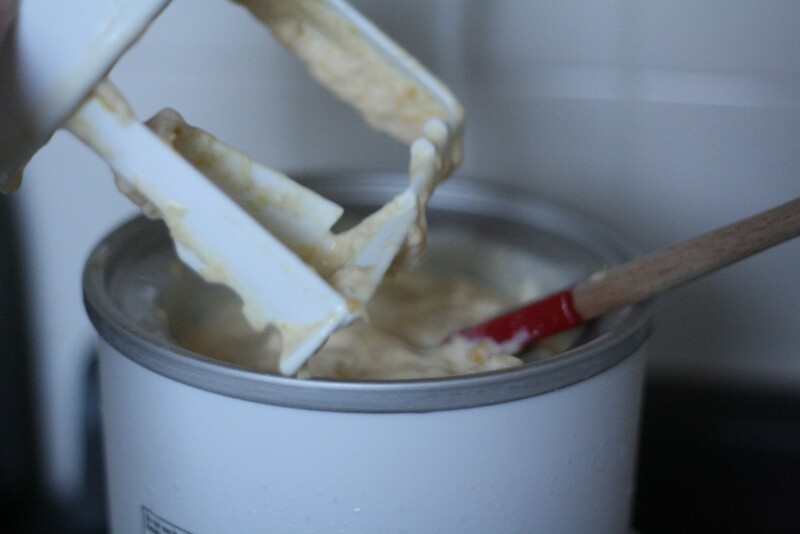 Cook them with the water in a covered saucepan over medium heat, until they cook down and are soft. Remove from heat, stir in the sugar and cool completely. 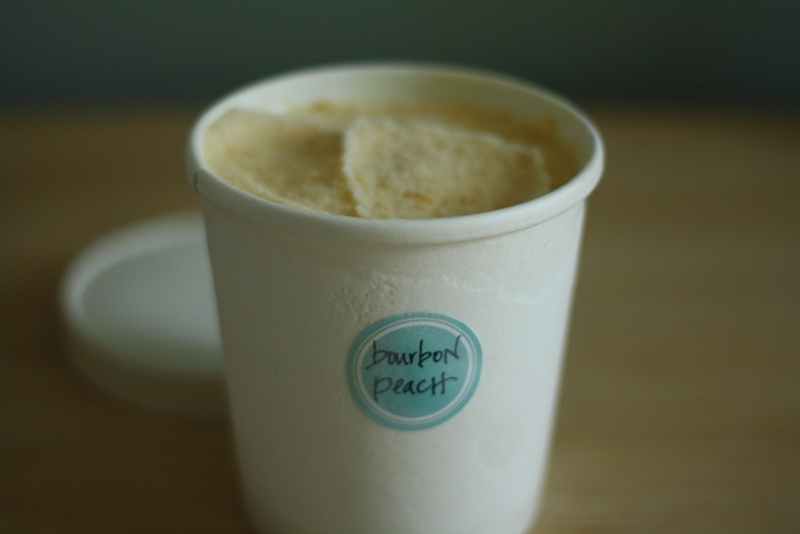 Blend the peaches and any juices with the sugar, sour cream, cream and bourbon until almost smooth. 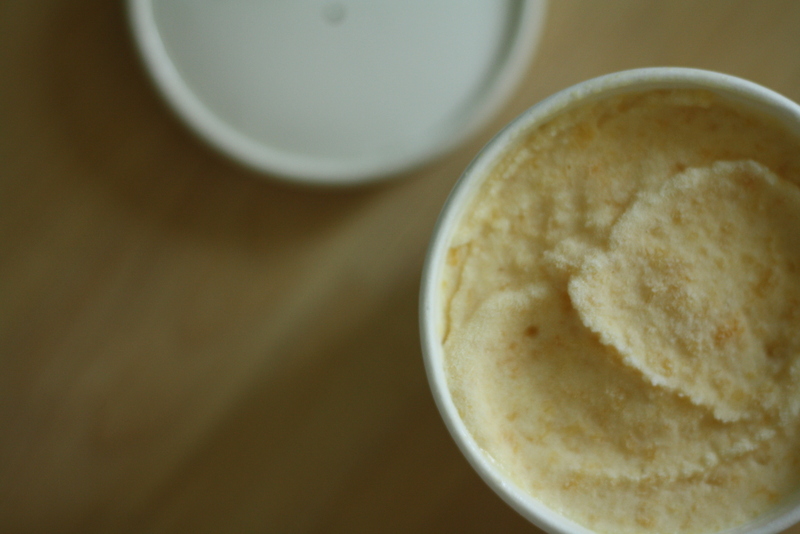 Chill the mixture in the refrigerator, then freeze in your ice cream maker. 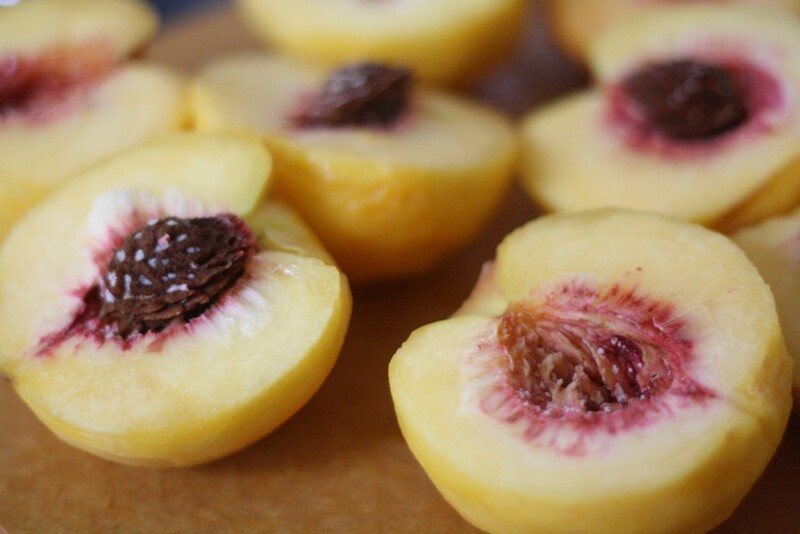 Note: A super easy way to peel peaches is to cut a X on the bottom of each peach, and boil them for about 20 seconds. 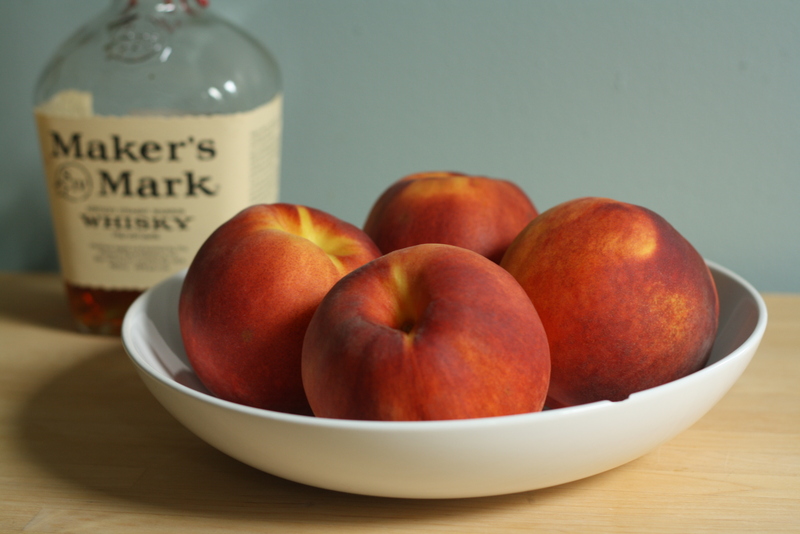 Remove from the boiling water with a slotted spoon and shock the peaches in an bowl of ice water. The skins will slide right off!